Have you heard of the Legacy series of games? Basically they’re brilliant takes on one of the facts about boardgaming that few people really play with: mostly we don’t play boardgames dozens and dozens of times. Usually like 10? More obviously if you’re the sort that has a particular desire to play never-ending Catan but still usually most board games don’t get played a hundred times. So, acknowledging that, why not make the most of those dozen playthroughs? What the Legacy series does is allow you to permanently alter the playing field with your actions over the course of each individual game. Play a game of Risk where use of a nuke actually leaves behind a radioactive wasteland! Play a game of Pandemic where failing to stop that superbug might kill one of your characters! Rip up cards, put stickers on the board, write on things! It’s a thrill and a half. These brilliant games are the brainchild of Valley Creator Rob Daviau! He’s having a hell of a career making fun things. He made one of our favorite childhood games, Risk 2210, as well as the absolute classic Betrayal at House on the Hill, a game that we’ve enjoyed with many of our friends over the years. You should head over to Off The Wall, Modern Myths, X9, or Worlds Apart Games right now to pick up one of the brilliant games Rob Daviau has contributed to! Bath Bombs are neat! Wait they were invented by LUSH? Huh. Didn’t realize that there was like an R&D department working on new ways to be lush. They’re used to add essential oils, scent, and color to baths! You can put together your own at SPL! Call 413-665-2642 to sign up! 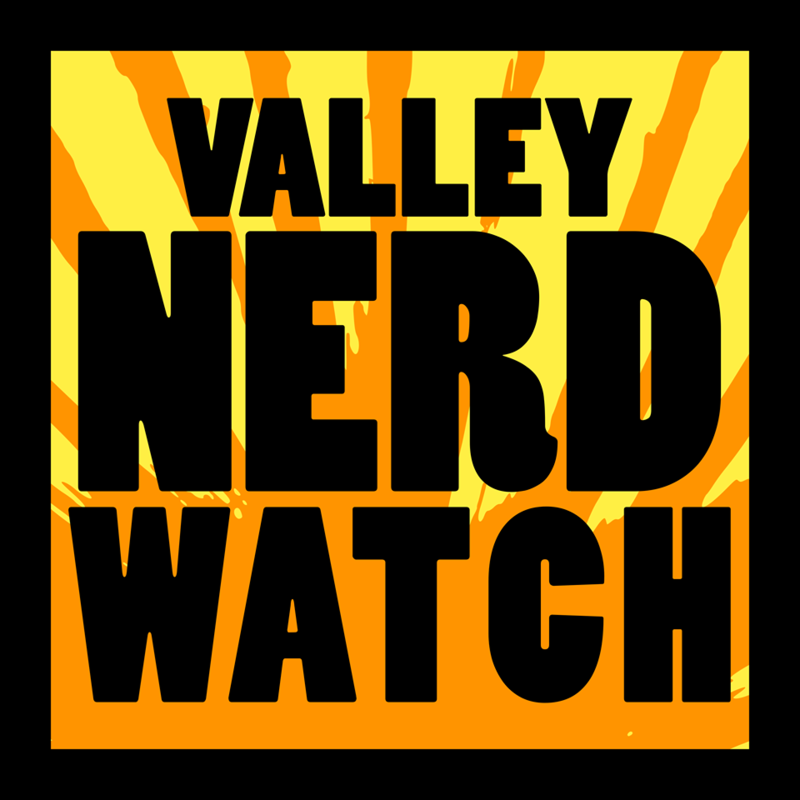 Special guests this week: Chris Hastings of Dr. McNinja and Marvel Comics, and Ryan North of Dinosaur Comics and BOOM! They’re both funny people and they’re going to put on a great night of hanging out drawing things and generally having a great time! Tip your bartender well! She’s a Valley Creator! On Thursday, the Mead unveils a renovated main gallery and opens six new exhibitions and installations that offer a fresh perspective on the collection! The reimagined space will cause you to engage more deeply with the artwork on display, as well as creating a powerful binding seal to hold back the Dread Beneath for another century! Anna Polesny blends the old and the new by working with a variety of leathers and leather working techniques and miniature locally-found objects and decorative materials. So if you’ve lost anything in town recently it might have become art! She makes wearable artworks from suede, leather, silk, combined with glass wooden and plastic beads. She’ll exhibit her own work alongside items from the Historic Northampton collection including a pair of moccasins from the 1600’s. Like art? Bereft of cash? Check out this awesome museum for totally free! It’s a really good deal but also consider donating anyway because this is a great museum. Chalk pastels by Elizabeth Slade, photographs by Paul Yandoli, and Camera Obscura by Amaru Pareja will all be on display at the Forbes Gallery this arts night out! If you see a dim figure in the distance of any of these landscapes that appears to be slowly approaching you, drawing nearer every time you turn away from the picture, no worries! It’s not a big deal, don’t even sweat it. Take a break from the first week of homework to play games wiht friends! There’s a big collection of new games and old favorites for you to try out! Excellent local boardgame nerd Justin Dowd will once again put on a night of fun featuring games from his extensive collection! This week will highlight Five Tribes and Mystic Vale, alongside plenty of others! Justin is always happy to explain rules and get people started, so come play! Play some tabletop games with friendly folks! They mostly do Euro-style stuff. We’ve gotta recommend you give Tiny Epic Galaxies a try, it was a ton of fun and quick to teach! Local author/illustrator Aaron Becker concludes his critically acclaimed picture book trilogy with Return! Enter the world of Pallonezia for the final time! It looks absolutely beautiful and interesting! There will be an off-site artist reception at Hope and Feathers Gallery in Amherst aftward where you can buy the books! To Celebrate 100 years since the birth of the famed author of beloved childrens stories like Charlie and the Chocolate Factory, the Carle’s having a celebration! In the Splendiferous Showdown, children will get to play a live game show inspired by Roald Dahl, filled with fun facts, trivia, and challenges that celebrate his books! The first of a series of workshops helping adults find the perfect job for them! They’ll be led by Library Director Katherine Hand. Don’t forget to attempt to pull the sword from the stone at least one time to see if your perfect job is the One True King of England. Coders creative rendezvous makers web a, and regular coders of. Barry will present a talk on Sherlock Holmes, just in general! The books, the films with Basil Rathbone, the television series with Benedict Cumberbatch, or the other one with Lucy Liu! Learn about this classic character in all of his incarnations! Led by Tom Goldscheider, of the David Ruggles Center Committee! Learn about the history of your town! The tour starts at the Sojourner Truth Statue at the corner of Park Street and Pine Street in Florence and take you along the African American Heritage Trail! What doctor? Which doctor? Where’s this doctor? We don’t see any doctor at all, just some strange man who keeps pointing a penlight at us! Bring snacks for yourself or to share while hanging out and watching classic Doctor Who! Dr. Atsuka Chiba is a genius scientist by day and dream-warrior PAPRIKA by night! She’s going to need to investigate the theft of a new device that allows the user to enter dreams! It’s like Inception except significantly more vibrant! Remember how Rattlesnake Island seemed like a weird horror movie premise that someone decided we needed in our Valley for no reason? Turns out it actually serves a super important purpose, and helps preserve a critically endangered native species! That’s right, timber rattlesnakes are NATIVE to Mass, we just never see them because nearly 100% of them are dead! Learn from grad student Anne Stengle about the history of timber rattlesnakes and why it’s essential that we protect rattlesnake populations not just here but everywhere!